This trip will be guided exclusively by lead guide Pablo Puruncajas. 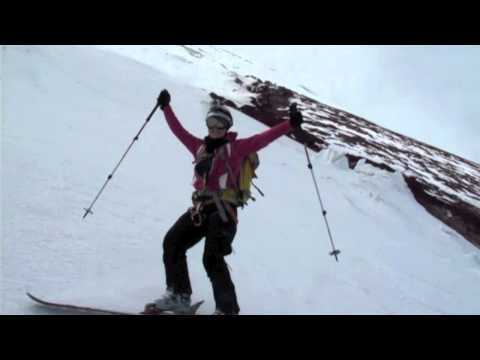 This is a small, flexible ski mountaineering expedition in the Ecuadorian High Volcanoes. Enjoy the phenomenal skiing, beautiful scenery and a fantastic cultural experience. 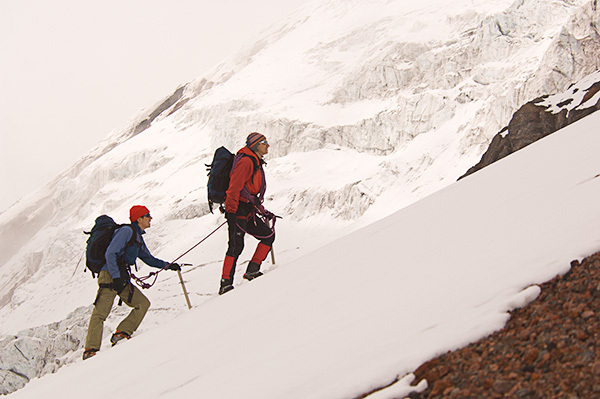 Ski the three highest volcanoes in Ecuador, an epic adventure and special way to experience Ecuador’s peaks! Nevado Cayambe, Cotopaxi and Chimborazo. The numbers speak for themselves, the vertical drop from the summits are big! We will attempt to ski from these peaks while enjoying some of the most spectacular scenery Ecuador has to offer. Our travel schedule will remain fully flexible to allow us to make the very most of snow and weather conditions. In a typical day on the volcano, we will gain around 1.300 m of ascent – which means we also get to enjoy a 1.300 m descent. The snow conditions are variable, however, it’s usually spring snow or fresh powder on a firm base. 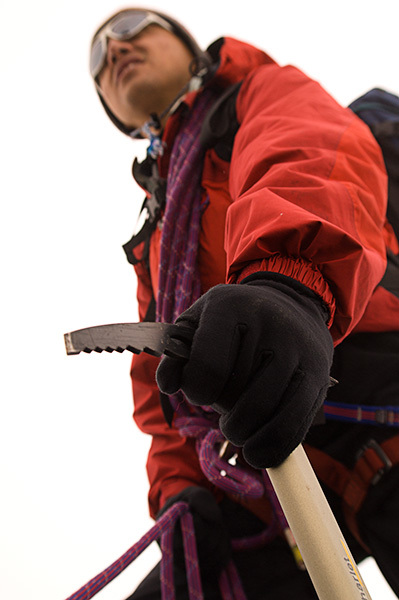 On occasion, strong winds can affect the snow, making it a more challenging ski descent. Our ski objectives will be interspersed with driving and sightseeing, such as enjoy the cultural heritage and nightlife of the capital city, Quito. 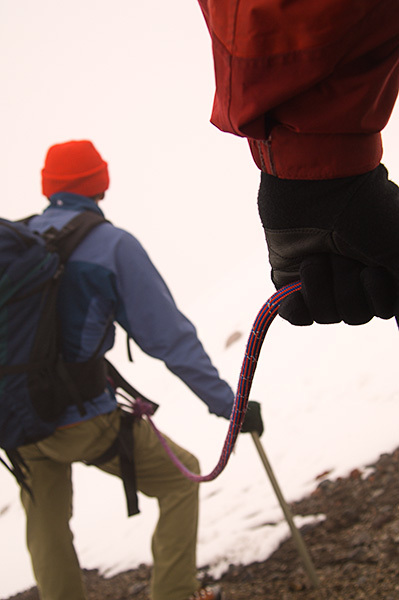 Spend rest days at hot springs and Stay at mountain lodges close to our climbs. 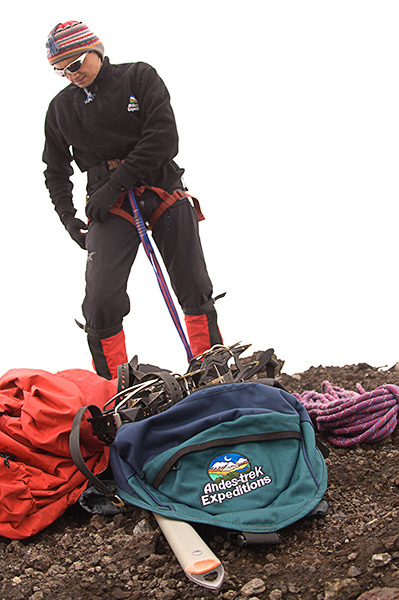 Expect the same variety of weather and temperatures similar to those encountered while ski mountaineering in Europe or North America – it ranges from wonderful weather to rain, snowstorms and high winds. However, whatever the weather brings us, we always have a fantastic time. Like all snowcapped peaks in Ecuador, avalanches are common during the day due to the more direct angle of the sunlight characteristic of regions this close to the Equatorial Line. As a safety measure, we will climb at night and reach the summit by 7:00 a.m., this will enable our safe return to base camp before the snowpack becomes too warm and soft.